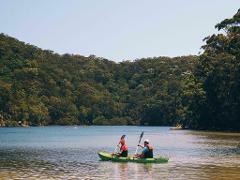 ECOTREASURES, Sydney to Ku-ring-gai Chase Wildlife Adventure will take you on an unique adventure exploring the Northern Beach of Sydney from Manly to Palm Beach and into Ku-ring gai Chase National Park with a expert local guide. 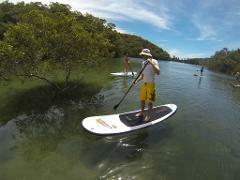 EcoTreasures, Sydney Australia provides exclusive hire of stand up paddle boards, snorkel gear and Kayaks from the Basin Campground, Ku-ring-gai Chase National Park. 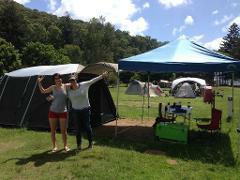 Camping made easy for you – Enjoy the great outdoors with ease ECOTREASURES Deluxe Camping Experiences Sydney removes all the hard work out of camping, so you can simply enjoy your time in nature with your family and friends. 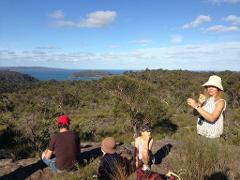 EcoTreasures Blue Mountains Private Group Eco Tour will cater to your needs. 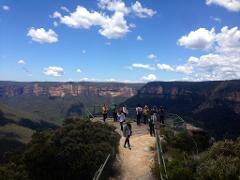 We will plan the perfect day for you in the Blue Mountains World Heritage listed National Park. 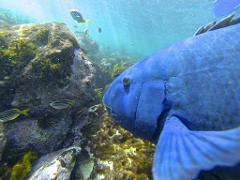 Our expert nature guides will help you escape into the wild. 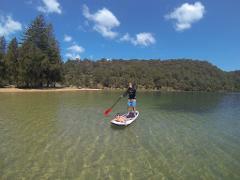 Enjoy paddling the calm protected waters of the Basin estuary Ku-ring-gai Chase National Park. 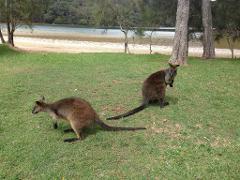 Your experienced local guide will help you search for native wildlife. 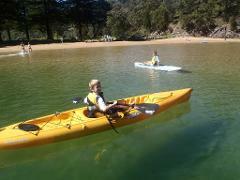 This experience is suitable for beginner and experienced kayakers. 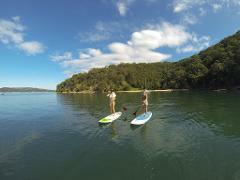 Explore the majestic waterway of Pittwater with your experienced local guide. 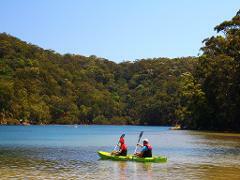 Discover this famous waterway and visit pristine beaches surrounded by Ku-ring-gai Chase National Park. 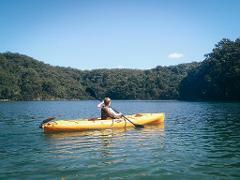 This experience is suitable for experienced kayakers. 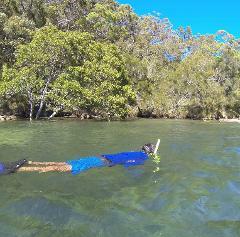 Snorkel for Sea Horses tour at The Basin campground will immerses you in a natural estuary. 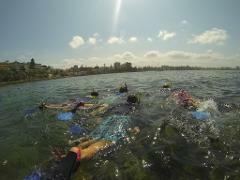 Explore a range of habitats including sea grass beds, rocky area, sandy bottom and mud flats with you local experienced guide for local species..
Join EcoTreasures for an exclusive local private tour in Sydney.